VerticalVisions.biz® was contacted to quote 10’ glass columns flanking 12 elevators in the University of Louisville’s new Nucleus research building in downtown Louisville, IN. We provided complete design, image creation, and production and installation services for this project. Once provided with blueprints of dimensions, VerticalVisions.biz took the project and completed it after many design changes to make the installation feasible. Thanks to our technical department, Design Department of Minnesota®, we provided many shop drawings to reflect the changes. Now we have glass Image creation: Michelle Aller, Tamarac, FLproduction and design experience to create this column accent effect in any building flanking elevators or providing accent columns in infinite design options, vertical, horizontal or any type angle any interior designer might c onsider. We used VerticalVisions.biz® “WOW” Wall Traditional LED flat panel product. This product was desirable as is it is only ½” deep and extremely energy efficient with a very low heat output. VerticalVisions.biz provides a 5 year limited warranty with 50,000 to 100,000 expected hours of lifetime usage. Due to the 10’ height, we used 3 VerticalVisions.biz® panels in each column and build a 2” depth light wall to eliminate any shadows of the panels abutting each other. 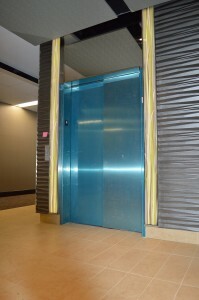 The panels were attached with industrial Velcro to the back wall of the elevator wall. arket in times past. 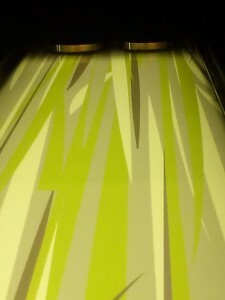 To keep the building in this theme, a grass type image was selected to adorn these panels.